Ever since it has been in fashion, craft beer has very often been tied to the notion of locality. We like our products crafted locally these days, especially when it comes to the stuff that used to come in mass produced cans and bottles. The former homebrewers of De Afleiding (“The Distraction”) have cleverly played on this appeal by brewing an ode to Amsterdam neighbourhood De Baarsjes. 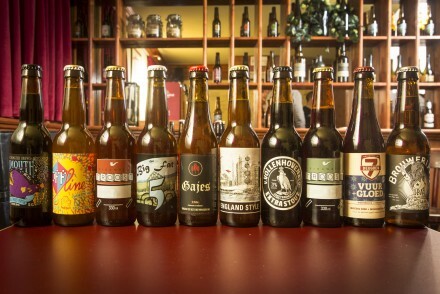 The “Jannie” is a hoppy saison not that different from the composition of the neighbourhood. Several different hop varieties make it rich and diverse yet it is an ultimately balanced beer. The neighbourhood is beautifully displayed in the label, which was inspired by De Baarsjes’ characteristic “Amsterdam school” architecture. Its name refers to one of its major streets, the Jan Evertsenstraat. It follows logically from this hyperlocal focus that this beer will mostly be poured in this specific Western part of town. Cafe Cook and Bar Frits (with a view on the prominent Mercator tower of the label) will have it available on tap and other local cafes should follow soon. 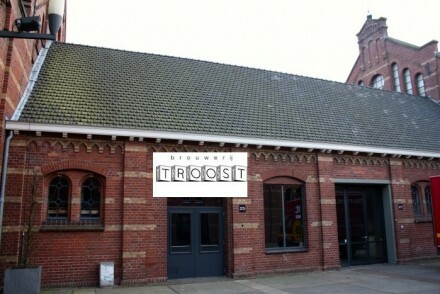 Bottled localness will be available at liqour store De Admiraal and, of course, at Sterk. 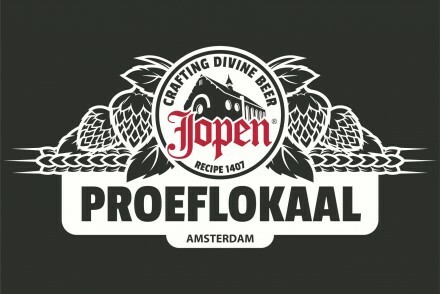 Watch this beer spread over De Baarsjes by following the new additions announced on De Afleiding’s Facebook page.